Does size matter? Well, that depends on what we are talking about. Regarding computers, gaming variants used to be massive towers loaded up with several fans and a full-sized ATX motherboard. Nowadays, small is in fashion -- many system builders opt for Micro ATX or Mini-ITX boards. It can be fun to see how much performance can be crammed into a tiny system. ZOTAC is a company that likes to focus on the diminutive, and today, it launches an all-new such gaming PC. Called "MEK MINI," it's not as small as some of its other computers, but this one is designed for playing games, so it needs to be larger to accommodate the higher-end components. The beautiful chassis features an easy-open side panel, allowing you to more easily access the internals. Despite the small size, the specs are actually quite impressive -- it has a six-core Intel i7-8700 and an NVIDIA GeForce RTX 2070 8GB GDDR6 GPU. Windows 10 Home comes pre-installed -- not Pro, sadly. And yes, since this is a gaming product, it has RGB lighting. "MEK MINI measures at a super compact 10.27in x 5.35in x 10.19in (260.8mm x 136mm x 258.8mm). A user can comfortably pack it into a backpack with room to spare and transform its next destination into an all-out battle station. 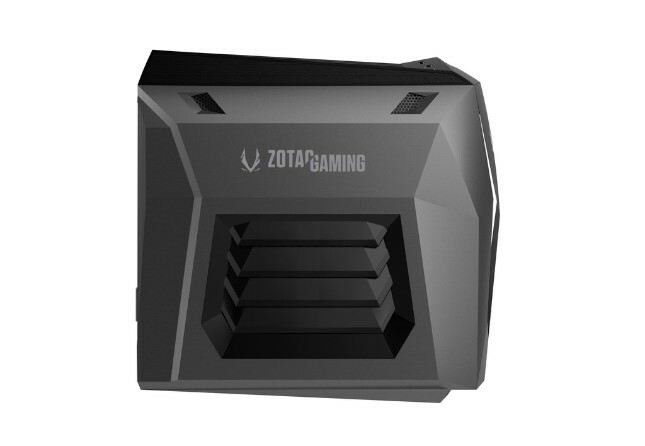 The light weight and travel-friendly design allows it to be used in incredibly diverse environments -- in LAN parties, eSports competitions, public demonstrations, at work or at home -- perfect for gamers who want to enjoy high-end gaming no matter where they are," says ZOTAC. 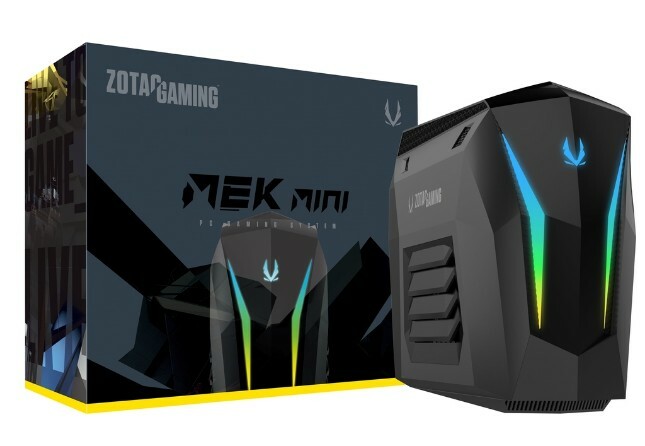 The company also says, "MEK MINI packs in a six-core Intel Core i7 processor to command in gaming, game creation, or diving into new realities. 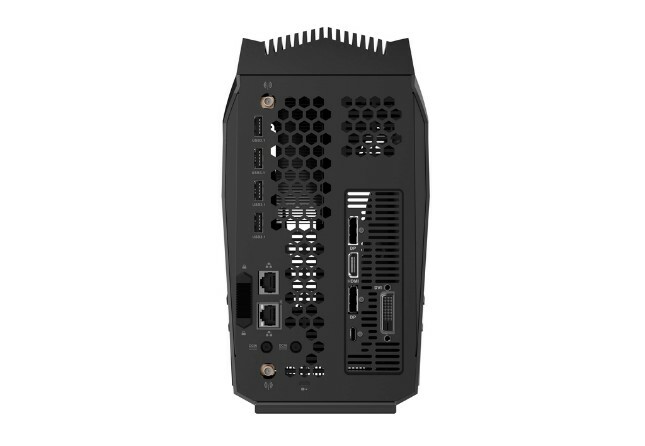 The system is further equipped with future fast technologies including 16GB DDR4 dual-channel memory, a fast 240GB NVMe M.2 SSD backed by an additional 2TB HDD, and fast Killer Gigabit Ethernet and Killer Wireless technology to deliver the fastest and most reliable connection on both wires and wireless in which gaming, video, and audio take priority." ZOTAC shares the following detailed specifications. The ZOTAC MEK MINI is an absolutely beautiful gaming PC with very respectable specifications. The company will be selling two models -- one bundled with a tenkeyless mechanical keyboard and mouse, and one without them. I expect most gamers would rather choose their own mouse and keyboard, so I am not sure how popular the bundle will be. Pricing should be revealed soon, once the tiny computer starts showing up at retailers. I would expect the cost to be between $1,000 and $2,000, but that is just speculation.